Please note: Our main fax number is now (916) 248-5253. We are sorry for the inconvenience. Begin by searching the catalog for courses that meet your educational goals. 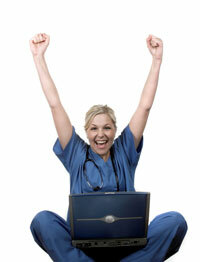 We offer courses in nursing, clinical laboratory science, dialysis and phlebotomy. All of our quizzes are written from a book. So you need to have the book in order to take this quiz. You can borrow a book from a friend or purchase it from us. We offer significant discounts on quiz packets that include the book and quiz. Anderson Continuing Education is looking for an operating room nurse to write the first draft quiz for Alexander's Care of the Patient in Surgery, 16th edition (2019 copyright). The OR nurse must be a CNOR; experience as an educator or previous writing experience is highly desirable. Please contact Kathleen Anderson at kanderson@andersonCE.com.